Android Reborn – Android Lollipop is one of the new version of the android OS. Although it is not the newest one, Lollipop still becomes the one of the best OS from android today. In this occasion, we will talk about some ways in How to Get Multi Windows on Android Lollipop in order to face your phone with the better look. 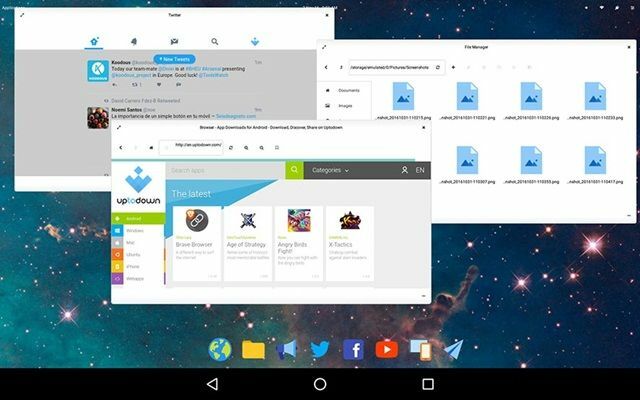 There are some ways, which you need to understand in Getting Multi Windows on Android Lollipop. Read the following points below. In order to Get Multi Windows on Android Lollipop, you need to do some steps. The steps are maybe different based on the version of your phone, however here we will see the most common ways, which you can do. Download Leena Desktop UI from Google Play Store. Activate this app as your launcher. Tap on “Menu” in the top left side. Next, tap on an app to open it as a window. User your finger to make it bigger or smaller. Then open second app to it multi windows. Well, those steps as above show the simply in getting the multi windows in the android phone. By the ways, I am sure that operating android can be more interesting for you. Something that you need to know is please checking the empty space of the RAM. Yes, the empty space of the RAM should be maintenance well because it will influence the running of your app. Opening too much apps in the same time will decrease the well running of your android. To help you in maintenance your RAM, you can install the RAM cleaner from Google Play freely.